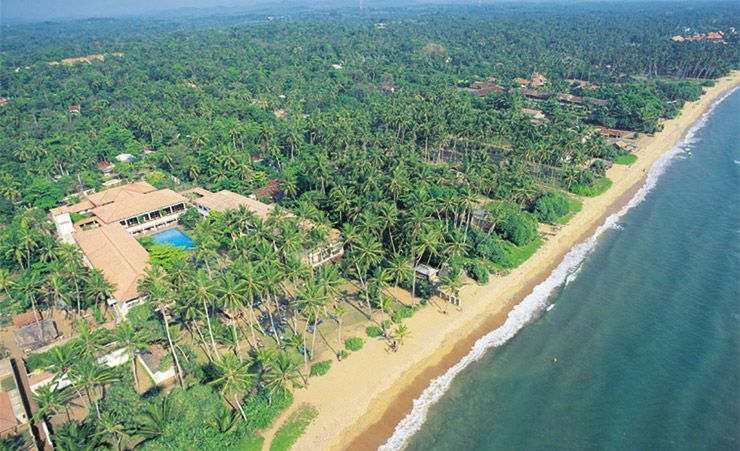 Kalutara is one of Sri Lanka's most popular resorts. It's famous for its coir rugs, reed mats and basket ware - and you can see the quality of the workmanship for yourself in the busy shops and streets. 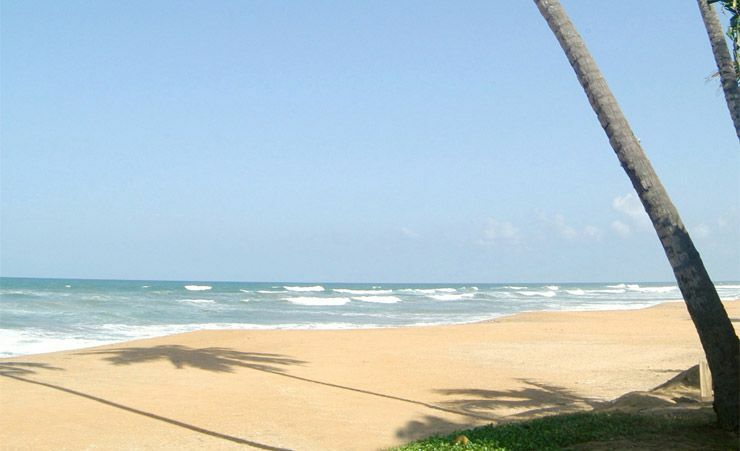 Kalutara is just as famous for its wonderfully expansive sandy beaches - there are lots to choose from. 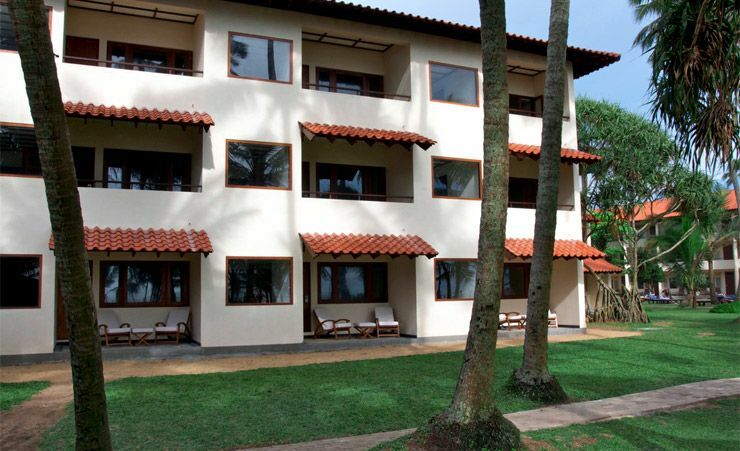 The Mermaid Hotel and Club at Kalutara overlooks one of them. It's a pristine stretch of sand and sea - just what you'd expect of Sri Lanka. 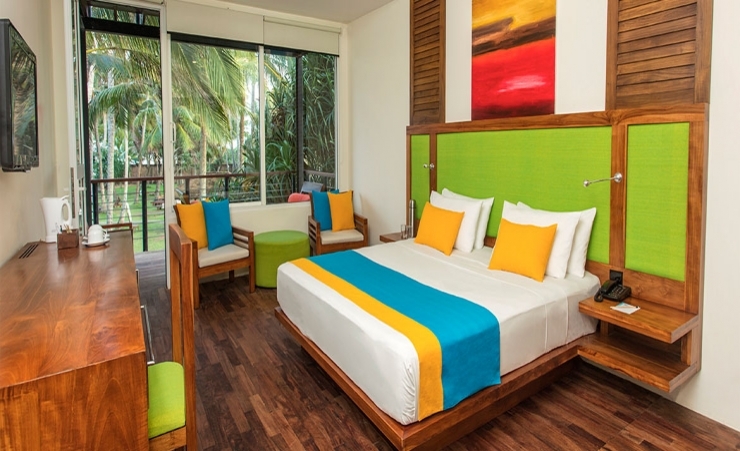 Set in 3.2 acres of coconut palms, the Mermaid Hotel and Club is a beautiful haven and the perfect place to relax - if that's what you want! With so many shops to explore and so many cultural riches to discover, you can spend your holiday as busily as you like. 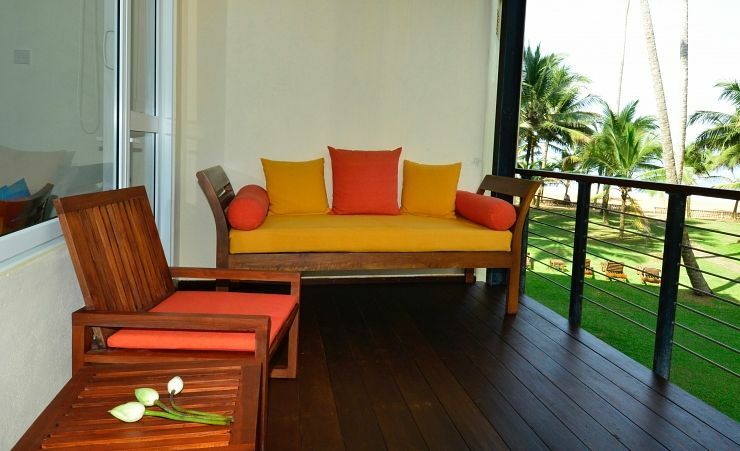 Or you can take the pleasant stroll onto the beach and laze in the rays of the sun. 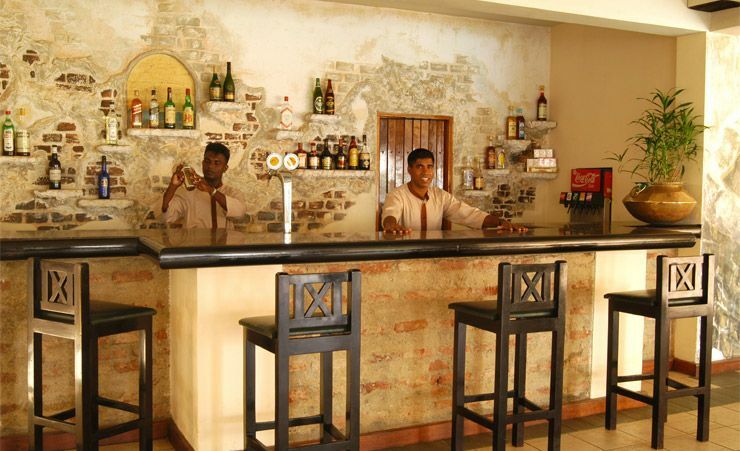 The Mermaid Hotel and Club at Kalutara is also within easy reach of the capital, Colombo - and its well worth a visit for its colourful shops, bustling streets and cultural riches. Of course, you may wish to relax as much as possible - and a stay at the Mermaid Hotel and Club gives you every opportunity to relax in fine style. 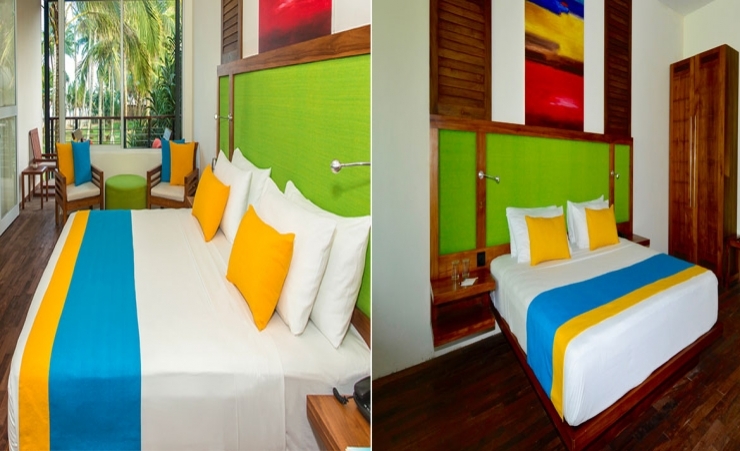 With its fine spa facilities and comfortable lounge, it's set up for total comfort and laidback holiday living. You'll find the same dedication to comfort in your room. All recently refurbished double rooms are tastefully furnished and air-conditioned with an en-suite with a walk-in shower and balcony or terrace with a side sea view and large day bed. They are equipped with 32" LED TV, minibar, safe, telephone, hairdryer, tea/coffee making facilities and Wi-Fi^, in short, everything you need for a very relaxed week or two. 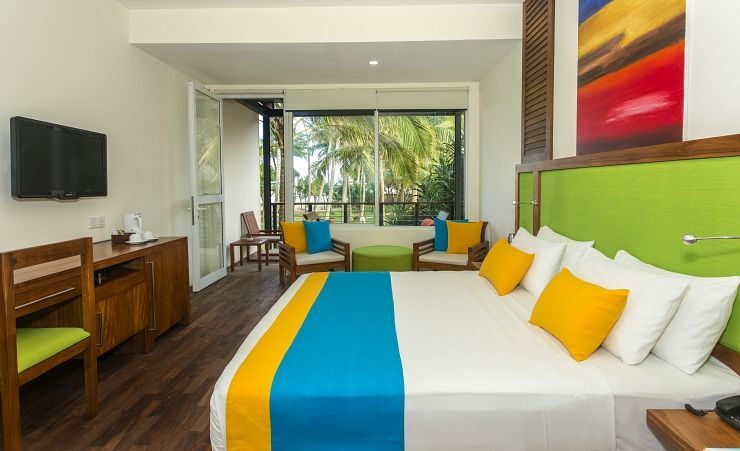 Double rooms with a full sea view, superior sea view rooms and deluxe rooms (on request) are available at a supplement. And how about this for a fine list of facilities for you to enjoy? There are two pools, three bars and a Music & Lounge Bar to enjoy. Other facilities include table tennis, squash, badminton, volleyball, water polo and croquet. There is a gym and spa with a sauna, steam bath and Jacuzzi. There is, in short, plenty for you to enjoy without leaving the hotel. 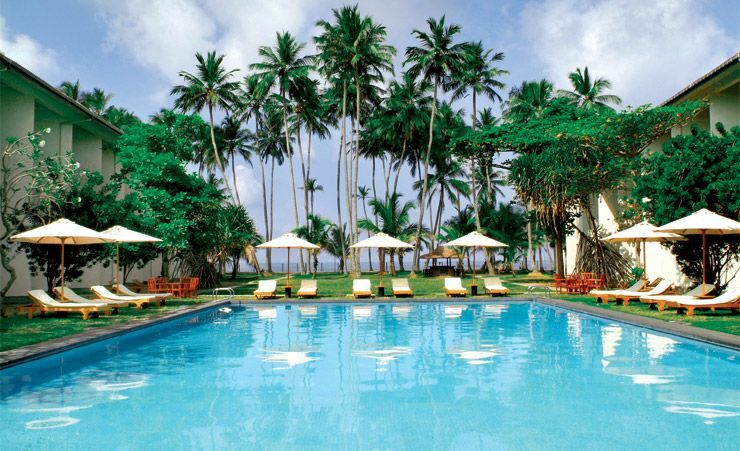 Try a little bit of everything that Sri Lanka has to offer – the Mermaid Hotel and Club is your perfect starting point. # Jacuzzi at a fee and to be used by guests having treatments. Breakfast, lunch, dinner, snacks; Local alcoholic and soft drinks, (excluding wine and diet drinks) fresh juices and fresh fruit. (Time and measurement stipulations may apply). Find out more about your accommodation and the in room facilities at the Mermaid Hotel and Club . This was our 14th visit to this hotel in the last 12 years and still find the most welcoming of places to visit. The hotel could be described as "ordinary", however, the staff can only be described as "extraordinary. Whatever you want, if it is humanly possible, the staff will get it for you. At other times of the year, we are lucky enough to be able to travel to other long haul destinations usually staying in 5 star hotels. So why do we return to this hotel every year? Simply because of the the staff who make the holiday at this resort a wonderful experience. This is such a beautiful hotel, there is nothing to fault. We have stayed here 4 times now and it never disappoints. 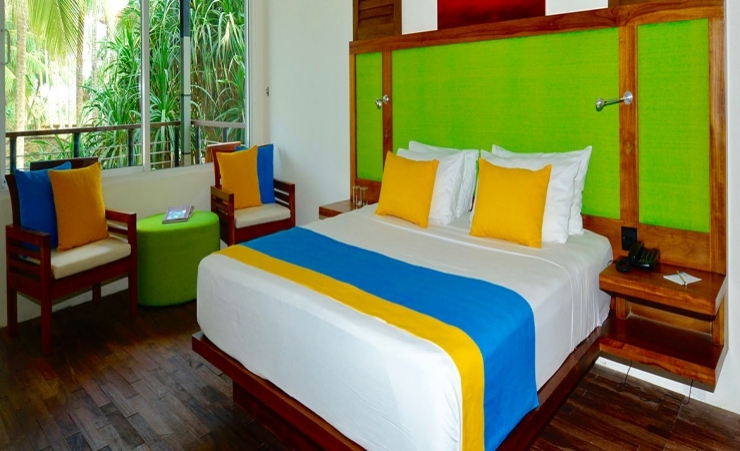 It is a very tranquil and relaxing hotel and well positioned to tour around. Having stayed at the Mermaid Hotel before we knew what service we were going to receive. The staff made us very welcome and we remembered some of the staff from our previous visit some 10 years ago. It is a great hotel where the staff really make you feel important. Brilliant small hotel. Nothing is too much trouble for any of the staff. Should any problem arise, it is sorted in minutes. As a return visitor it is wonderful to meet old friends that are also return visitors. We say that if you travel alone, you are never alone at this hotel. We will return next year. An absolute "Gem". 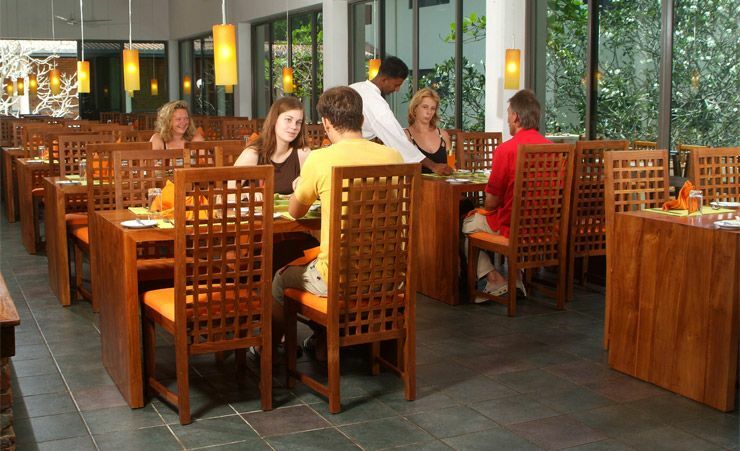 The service could not be improved upon, nor could the cleanliness of the whole resort. If relaxation is your aim, then you must visit this hotel. The sports facilities and programs are also very attractive. Excellent room, good food but needed some refinement. Staff were superb. Location was excellent. Facilities were above expectation and very enjoyable. Very courteous staff who were very attentive to all our needs. A very happy experience altogther. Cant praise their efforts enough. The staff are excellent hard to beat. The staff make the holiday, they are always friendly and very helpful. All the staff of this delightful hotel were really helpful and willing to provide a good service;nothing was too much for them. An example of the willingness to please, and the air of efficiency of the staff is the fact that on arrival our aircon was not functioning properly and after one 'phone call, a maintenance man arrived and fixed the issue within a short period. All done with a smile. A small very welcoming hotel. The staff were outstanding - very friendly and caring. Even though this is a three star hotel the service is five star. The hotel will benefit from the planned refurbishment that is to begin in 2015.